Exit I-5 at Exit 68 and travel east on Highway 12 for 2.5 miles to Jackson Highway. From Highway 12 turn south on Jackson Highway and travel 6.9 miles to Highway 505. Turn left on Highway 505 and travel 13.8 miles to the Spirit Lake Memorial Highway 504. Turn left on Spirit Lake Memorial Highway 504 and travel 36.9 miles to the Johnston Ridge Visitor Center. Return via the same route along Highway 504 and Highway 505, 50.7 miles to Jackson Highway. Turn right on Jackson Highway and travel 1.2 miles to Spencer Rd. Turn right on Spencer Rd. and travel 10.6 miles to Fuller Rd. Turn left on Fuller Road and travel 1.1 miles to Highway 12 at Salkum. 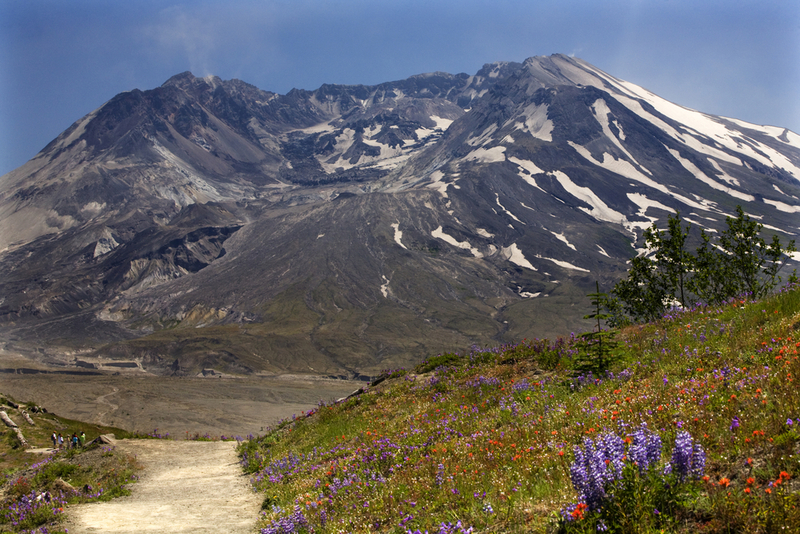 Forever changing over 200 square miles of rich forestland into a gray, lifeless landscape, the 1980 eruption of Mt. 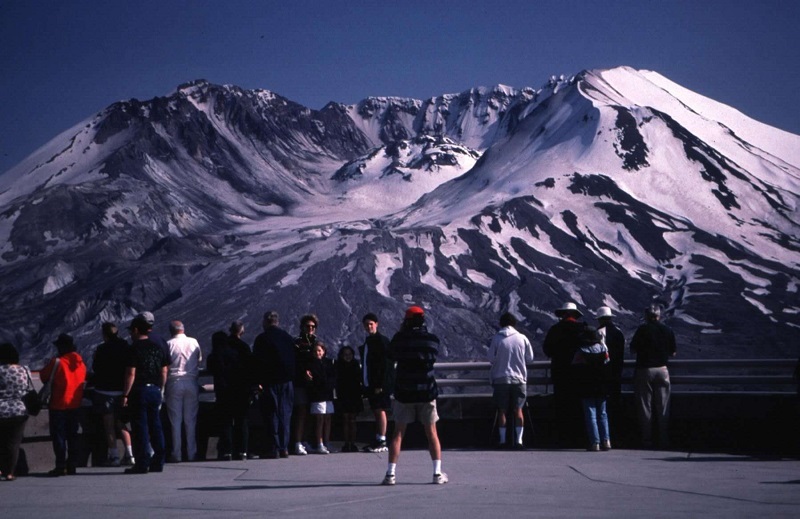 St. Helens has had an impact so powerful, you have to see it to believe it. Over two decades later, witness the mountain’s slow but steady recovery. Journey through this healing landscape and behold nature’s awesome power. Be prepared for mountainous conditions. Weather changes rapidly. Plan ahead for food, extra clothes and sturdy shoes. There are no restaurants along Hwy 504 and no gas is available after Toutle. There is limited camping and lodging. Do not depend on Google Maps. Rural areas are often mis-represented. 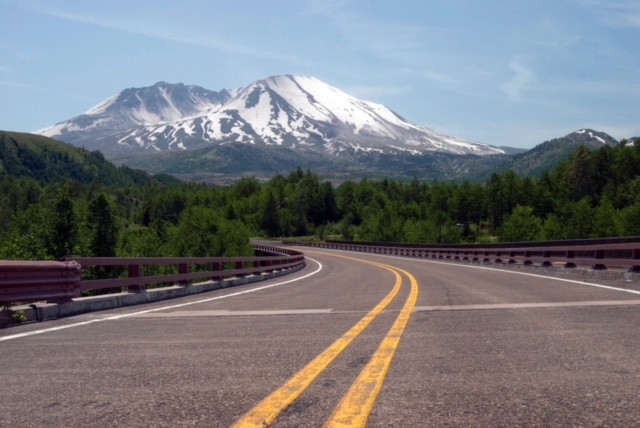 You do NOT want to find yourself in Amboy, the Mt St Helens Monument Offices.